Heavy Weight – 4 Cycle Stomper Rental – Wacker-Neuson – BS 50-4s, is available for rent in Rochester NY, Ithaca NY and the entire Western New York region from the Duke Company. 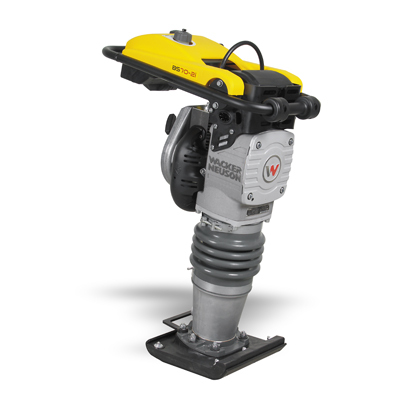 The rental Wacker Neuson BS 50-4s vibratory plate compactor available for rent, has an 11 inch shoe. Engine type = air cooled, 4-cycle, single cylinder Wacker Neuson gasoline engine.